I am really tired tonight, and have a lot on my mind. It is more work than I anticipated moving from one computer system to another. The Apple store one-to-one classes leave me with even more questions than I had before. I didn’t want to miss a day blogging so I will write about another old knitting book that has some really good information. 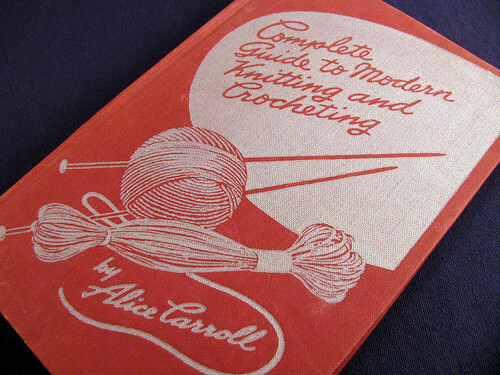 Like most of the older how-to books it has patterns for everyone in the family. It also has a really nice section on socks with several toe and heel styles. Since it was written in the early 40’s and square shoulders were in style, it has detailed instructions on shoulder darts. There is also quite a bit of information on finishing, like sewing in a zipper. So all in all a very informative guide. 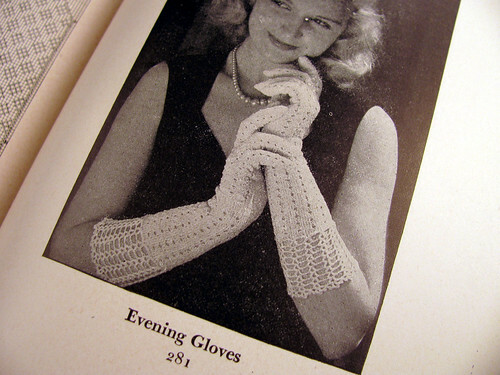 Here is a pattern for lacy gloves. The combination of knit and crochet is kind of fun. This entry was posted on Friday, February 20th, 2009 at 3:00 am and is filed under Crochet and Knitting. Tagged: Book, Crochet, Knitting. You can feed this entry. You can leave a response, or trackback from your own site.